“By Evolution contributing the whole €1,000,000 to start the Jackpot, it is our way of saying ‘thank you’ to operators and players. With the player volumes we see on Casino Hold’em this could potentially grow to be bigger than all of the online progressive slots combined. That means it could grow to in excess of €30 million, which will put it in contention to be the biggest jackpot in the history of table games or slots. Fully integrated into the Casino Hold’em gameplay and UI, the new Jumbo 7 Jackpot adds the attraction of these significant extra winnings through a simple side bet. The Jumbo 7 Jackpot side bet pays out to qualifying players (i.e. 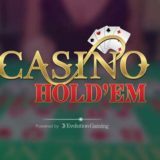 those who choose to place this side bet) even if the player folds or is beaten by the dealer’s hand in the main Casino Hold’em game. The top-level Jackpot prize is the full amount of the progressive Jumbo 7 Jackpot, which keeps growing until it is won with a 7 Card Straight Flush. 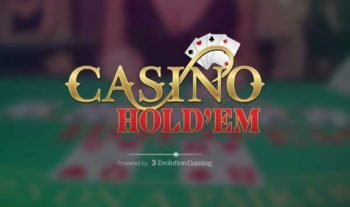 A second level of Jackpot prizes offers lower fixed payouts for a range of other Poker hands — from a Straight through to a 6 Card Straight Flush, which pays 5,000 for 1. The Casino Hold’em Jumbo 7 Jackpot is available through an optional programme for this table. Evolution licensees who sign up to the programme will have the optional Progressive Jackpot side bet enabled for their players.